Xbow: This is your main win condition. It can be countered easily if placed by itself. Support it with all your other troops. Tesla: Tesla is one of your best defenses. It is a great distraction and it does tons of damage. Knight: He is your tank. He will soak up hits to keep the XBow alive while the other troops do lots of damage against your opponent’s counters. Archers: Part of your air defense. These girls do work. Try and play them in places where they don’t get spell value on them. 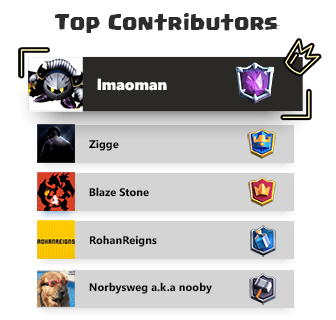 Use them to support your XBow. Mega Minion: Your glass cannon. This troop does mad damage. If you can use the Knight to tank, place this card on the troop to annihilate it. Skeletons: These are your distraction. They can distract almost ever troop. They also help you to cycle to the cards you want for defense. Play this guy smartly since they have so little HP. Fireball: Use the Fireball to finish off towers, kill Minion Hordes, or anything else that tries to kill your XBow. Zap: Stuns troops and resets them. Use this to kill Skarmies since so many players use it. You can also use it to retarget troops onto your tank if you placed your Knight to late. This is the XBow deck I used starting in Spell Valley. As an lvl 5 at that time it was difficult to play against higher lvl players. I invented this XBow deck for myself. You should play this deck like any other XBow decks. Never start with an XBow. 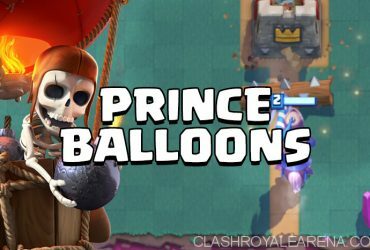 You want to wait until you have a significant counter push from defense or a big elixir advantage. Try to out cycle their tanks. 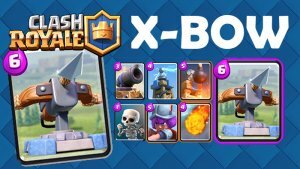 A lot of lower level players will drop a Skarmy on your XBow. Try to keep your Zap to immediately kill those skeletons. Save your Fireball to finish towers or kill Minion Hordes. If you can’t win you may as well draw the game so you don’t lose trophies. Once you understand how to play XBow this should be a piece of cake. Although you should use the Tesla to draw building targeting troops. Also use it to kill varieties of troops. You can use a Knight to tank while the Tesla kills the troops. If your smart on defense and offense you can win. Against a Giant Double Prince push you should play the Tesla 4 Tiles from the King Tower in the middle. Then play Mega Minion behind the princes and a Knight to distract the princes. Before playing the Knight stop the Princes charge with an Ice Spirit. While the Mega Minion kills the Princes use archers on the Giant. Then keep cycling your troops until their push is dead. 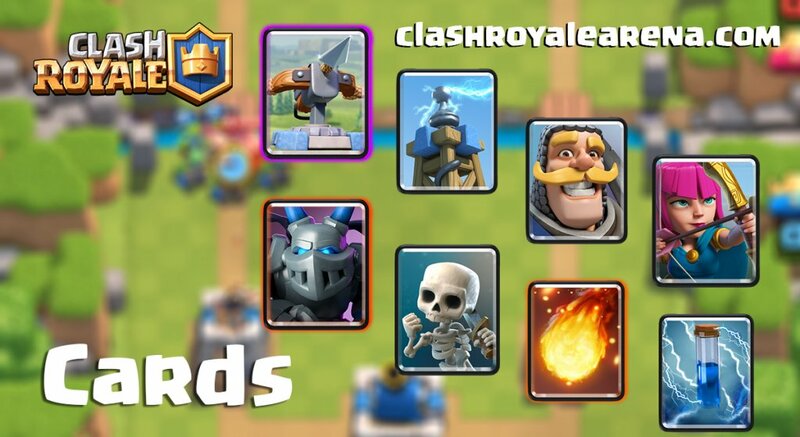 If they don’t use a spell on your troops you should have a Mega Minion, Archers, and a Knight to counter push. Then play an XBow. 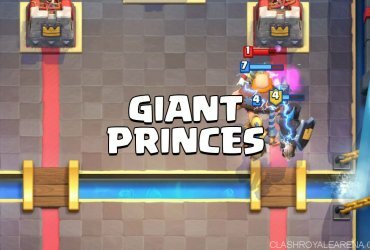 They will play a Giant on the XBow but play a Tesla close to the XBow to lure the Giant. Kill the Giant as quick as you can and cycle to another XBow same lane. Against a Golem deck you need to take a tower quickly. If they play Golem in the back use a XBow opposite lane. Defend that XBow only slightly. Immediately set up with an Tesla. Play Archers and Mega Minion on the Golem and Knight behind it to kill support troops. Fireball and Zap the supporting troops to clean them up. Anything alive should die to another Mega Minion or set of Archers. Once you take the tower play a defensive XBow. Also play a Tesla to kill the support troops while the Golem targets the defensive XBow. The strength of this deck is its defensive power. This deck can defend almost any push. As long as your opponent doesn’t build up to big of a push you can defend it. 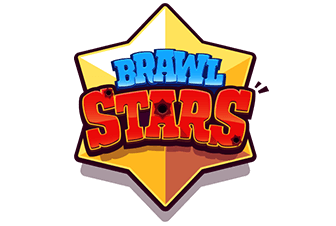 After you defend you will also have a big counter push which you can use to support your XBow. If you don’t overcommit during Single Elixir you should be alright. It also cycles amazingly fast. You can stack up huge amounts of troops and slaughter their push. A weakness of this deck is that XBow is the win condition. It can be difficult to get the XBow to connect to the tower then have enough elixir to defend it as well. You will probably get most of your damage in Double Elixir. If you over commit in Single Elixir your opponent can punish and wreck you. Since this is a Siege deck, any big beatdown decks will counter this. As well as Miner Poison. You should watch Clash with Ash’s video on how to play XBow against all the hard counters, it really helps. This deck pushed me 900 trophies. After I got to Frozen Peak I substituted out the Knight for the Ice Golem and Skeletons for Ice Spirit. The version with the Ice Golem and Ice Spirit is a lot better in my opinion. It is more like a real XBow deck. Even if your towers are low level, try to overlevel your deck by constantly requesting these cards. This is my F2P account.